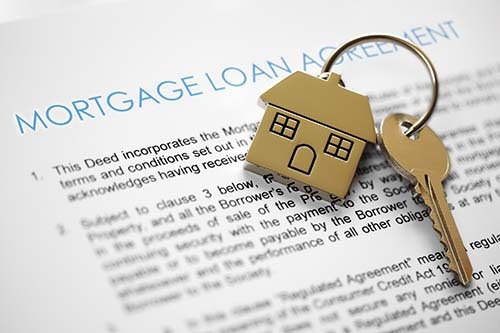 In a typical real estate transaction, numerous factors may be negotiated, and the terms of the purchase may be negotiated at different times throughout the process. For example, the contract may be negotiated at the time the original offer is made, but revisions to the contract may be negotiated after the property inspection has been completed. Both parties want to have the upper hand in negotiations, but those who focus on a few points are more likely to walk away feeling satisfied with the results of the negotiations. 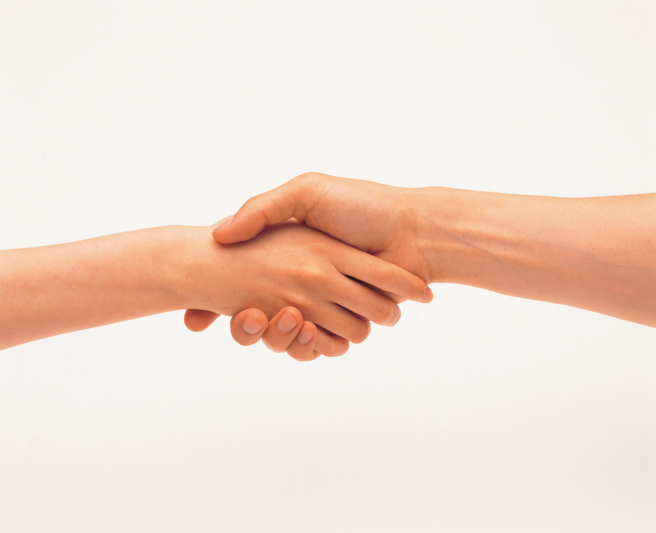 A successful negotiation may be about achieving specific, desired goals, but in most cases, there will be a bit of give and take on both parties’ parts in order to find success. Those who have the upper hand in real estate negotiations will take time to research all factors related to the negotiations, and this includes everything from market conditions and how long the property has been on the market to how competitively priced the real estate is, how many other buyers there are and more. Beyond outside factors related to the negotiation, there typically are personal motives and influences that must be considered. For example, a seller may be motivated to sell quickly due to a job offer in another city, or a buyer may be motivated because the property is the only one of its kind close to a great school. Real estate agents can often provide information about motives and influences that may impact the negotiations and that may reveal who has the upper hand in negotiations. After all external and personal factors have been researched and itemized, it may appear that one party has a clear upper hand in negotiations and the other party does not. However, in order to be successful in negotiations, typically both parties will need to feel as though they are getting what they want. After all parties’ motivations have been identified, it may be possible to think of creative, outside-the-box alternatives that may be agreeable to both parties. When a buyer or a seller is preparing to negotiate with the other party, it is important that they fully understand all of the factors that may be at play in determining the outcome of negotiations. When buyers and sellers focus on these points before making an offer or counteroffer, they may find their negotiation efforts more successful. Contact your trusted real estate agent for more information. 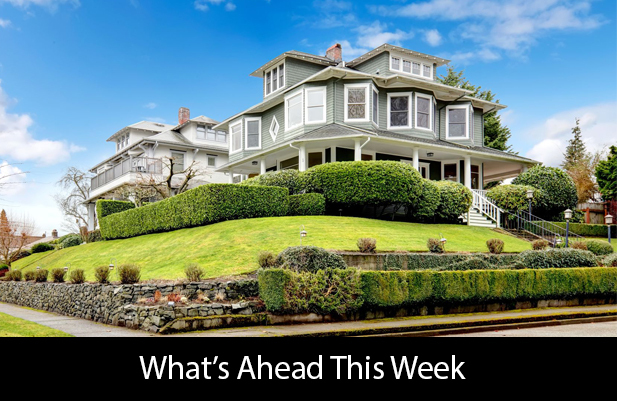 It can be hard to plan for the increase in rates that can go along with a variable rate mortgage, but if your insurance is up for renewal and the value of the homes in your area has increased, a higher monthly payment will likely follow. Contact your trusted real estate professional for more information. Everyone needs a vacation at some point, and worrying about your home should be the last thing on your mind while you’re out of town. Here are 4 ways to boost home security when you’re not around. Even if you’re only gone for a short amount of time, asking someone you trust to keep an eye on your home can offer a big-time boost in security. Hiring a house-sitter to collect your mail, mow your lawn, and make your house look lived in can be a great option for longer vacations, as physical changes to your property can tip-off burglars that you’re out of town. For short trips, it is worthwhile to ask a neighbor to keep an eye on your home and to report any suspicious activity to the authorities. Having someone who is aware you’re not around can nip crime in the bud, as they’ll be less hesitant to call the police if they notice any unexpected guests around your home. Sharing your vacation photos on social media can be a convenient way to share your experiences with your friends, but it’s best to do so after you’ve returned home. The fact that you’re not around is information that can easily fall into the wrong hands on the web, making you a target for crime. If you decide to change your voicemail greeting while you’re away, be careful that it does not explicitly state that you’re out of town. It’s fine to tell callers that you’re unable to accept calls for a period of time, but they do not need to know it’s because you’re a thousand miles away. If you’re looking for a security measure that’s even more reliable than your neighbors, it may be worthwhile to install a home alarm system. 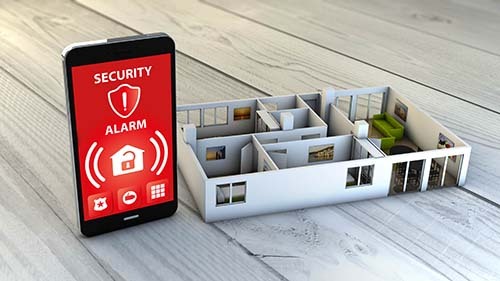 Houses that lack security systems are burglarized more often than ones that have an alarm installed, making them a worthwhile investment for frequent travelers. It’s not only outside threats that you have to consider before heading on vacation! Make sure you prep your home for your absence by unplugging any appliances (toaster, computer, TV) that are at risk of a power surge. If you live in a cold climate and your pipes are at risk of freezing, ask someone you trust to stop by your home every few days to run the water. Make sure to show them where the water main shut-off is in case a pipe bursts while you’re away. Interested in more neighborhood safety advice? Contact your trusted real estate professional today! Selling your house can be hard. Emotionally, because it’s become your home, but also economically. 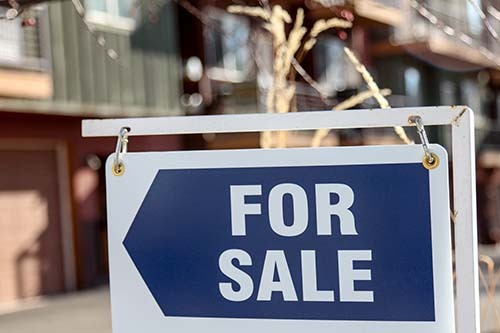 If your home isn’t selling, there are usually specific reasons which means there are ways to amend them and make your home more appealing to potential buyers. Here’s a short list of reasons why your home might be stalling on the market. No longer is it enough for a sign on your front lawn and word of mouth to carry the brunt of your marketing. With the world moving increasingly online, you need to address social media when advertising your home. Think Facebook. And be sure to use professional photos of your house whenever advertising it, so that it is properly and engagingly represented. People on the hunt for a new home want to be able to picture themselves in the house (or apartment, or condo) they’re being shown. This means your house needs to be a blank slate. If there are idiosyncratic rooms, paint them neutral colors and keep the furnishings simple. Remove personal items from all areas being shown photos, achievements, etc. Open up the space by moving furniture out first. You Are Not Available Enough or Are Too Available. Potential buyers can be easily discouraged before they even get into your home. Make sure your house is accessible for as many viewings as you can manage even at odd hours to accommodate them. But you should not go to the showing itself. Having the previous owner around hinders people’s ability to assess the home objectively because they know it’s not objective for you. That discomfort can lead to them not asking the questions they needed to, and being deterred from the purchase. It’s inevitable there will always be buyers that are interested but unwilling to make the final commitment, so use those buyers to your advantage. If you can, reach out and ask what made them turn away. There could be external factors (literally, elements outside your home) that negatively impact a buyer’s decision. If you learn that from almost-buyers, or even from your neighbors you’ll be able to find a fix or adjust the price accordingly. If your home is listed but not selling, sometimes it can feel like it’s the universe rising against you. But often there are concrete reasons and simple solutions to get your home’s appeal up. And remember, in the end, the best way to find out why your house isn’t selling is to talk to your local real estate agent, who has the expertise to help. We’re told not to judge a book by its cover, but there’s no such rule in the housing market. Curb appeal is the external attractiveness of a home, and if you’re in the market for a house that first impression has a lot to do with your final decision. 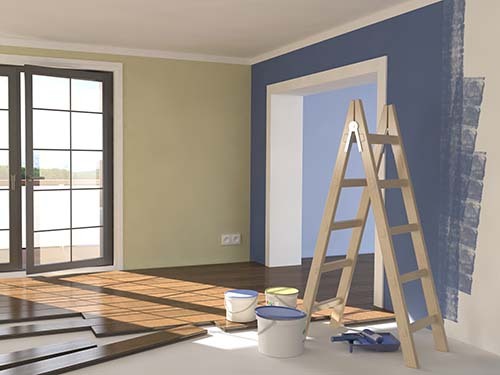 Alternatively, if you’re looking to sell, it’s an easy area to boost the attractiveness of your home. 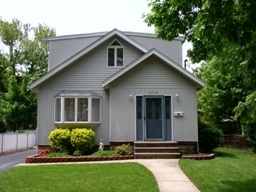 Essentially, ensure your home is accessible and inviting to make it appeal to potential buyers. It’s like making new friends, and how you’re much more likely to approach someone who is smiling. Help your home smile by spending a little time and money on outdoor seating, open spaces and color. Note that homes that have personality make stronger first impressions, so also try to put some of yourself into the exterior of your home. Outdoor seating inspires relaxation, providing a great first impression. Potential buyers can pause and get a sense of the community without feeling rushed. They’ll take in the external features of your home in comfort, and will be primed to imagine themselves sitting out there as new homeowners, sunning or sipping tea. Open your home up literally. Creating an uncluttered space in front of your home will help direct and draw buyers. Use pathways and lighting (lamps, candles) to clearly guide the way into your home. A well-lit pathway is not only visually appealing, but safer and a confusing entrance could deter buyers before they even reach your house. Color draws the eye. Add flowers to the front of your house, or paint the shutters brightly to attract attention from the street. This will also help your home look tidy and put-together. The front door is the focal point of anyone walking up to your house. Why not paint it your favorite color, or decorate it with something that gives an idea of the interior, like a funky door-knocker or a wreath? Make sure the door is clean and everything works (knob, bell, hinges) to complete the look. If you have a mailbox out front, you can give it the same personalizing treatment. Paint it, or plant it in a flowerbed. Keep it clean, functional and inviting, and it’ll add to the overall impression of your house. Riff off these easy, cheap projects to increase your home’s curb appeal. Contact your local real estate professional for more information. Most homeowners, particularly those that are new to home ownership, have many questions when it comes to purchasing a home, but by being aware of what a lender looks at and what you should put down, you’re well on your way to a healthy attitude towards ownership. If you’re currently considering buying a home, contact your local real estate professional for more information.